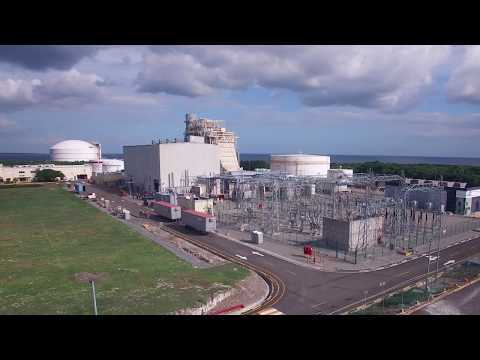 In September 2018, AES Dominicana in the Dominican Republic suffered an unexpected outage that resulted in 300MW of power coming offline. While the organization was able to successfully restore a portion of its plant in a short amount of time, it realized that additional power would be needed to help bring the system back to capacity. Time was also an important factor with the high energy demands of the holiday season only weeks away. AES turned to APR Energy for a fast-track power solution while a longer-term recovery plan was developed. APR Energy immediately mobilized four of the newest generation GE TM2500 mobile gas turbines to the Dominican Republic for fast-track installation of a 120MW supplemental power plant. During installation, APR Energy was tasked with designing a customized solution to connect the supplemental plant to the island’s grid, which included installing line reactors and additional infrastructure, to guarantee the plant would not only operate quickly, but also safely and reliably. The customized solution helped enable a seamless connection to AES’s electrical system just 30 days after APR Energy signed its contract. APR Energy’s fast-track gas turbine plant delivered 120MW of much-needed power to AES’s recovering plant. The result was safe, reliable energy that stabilized the island’s electrical system as local communities prepared for the end-of-year holiday season. This supplemental solution also enabled AES to continue developing and executing a longer-term recovery plan with the goal of bringing its plant back up to its original capacity of 300MW by February 2019.